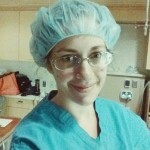 Here are some of my favorite Salt Lake City birth resources. I hope you find this list helpful! La Leche League of Salt Lake City offers several different free support groups including “Nursing a Toddler & Beyond,” playgroups, and their traditional meetings. Evening meetings are held the 3rd Thursday of each month at 7:00 p.m. at LDS Hospital and morning meetings are held the 1st Thursday of each month at 10:15 a.m. at the Sprague Public Library. Meetings are free. St. Mark’s Hospital offers a 2.5 hour introduction to breastfeeding class where they cover the basics of latch, positions, and what to expect when breastfeeding. 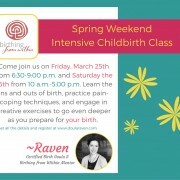 Cost is $10 or free if you are also attending one of the hospital’s childbirth education classes. The hospital is located at 1200 East 3900 South in Salt Lake City and you can reach them at (801) 268-7940. University Hospital offers a 2.5 hour introductory course that reviews latch, positions, troubleshooting, pumping, and what to expect when breastfeeding. Cost is $30. The hospital is located on the University of Utah campus at 50 North Medical Drive and can be reached at (801) 581-2328. The Lactation Station, located at 3142 S. Highland Drive in Salt Lake City, was the world’s first breastfeeding retail store and has been in business since 1989. The store sells breastfeeding and pumping supplies and equipment and rents out breast pumps. Customers can ask breastfeeding and pumping questions while in-store or they can make an appointment for a private consultation with a lactation consultant. Appointments can be made by calling (801) 467-3434. Meghan Reed, RD, CD, IBCLC services Salt Lake and Summit counties and specializes in positioning and latch and troubleshooting problems. Meghan offers in-home consultations as well as help via Skype. She can be reached at (801) 696-5787. The SLC Positive Birth Group meets the 4th Wednesday of every month at 6:30 p.m. at 182 West Haven Ave. in Salt Lake City. I co-founded this group and each month’s meeting focuses on a specific topic. Examples of past meeting topics include: music therapy assisted childbirth, herbs during pregnancy and the postpartum period, birth in the media, and the language of birth. This group is free. ICAN of Salt Lake and Utah Counties is a local chapter of the International Cesarean Awareness Network that helps mothers achieve safe birth outcomes with the latest research and support. 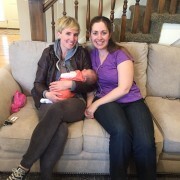 Salt Lake City Prenatal Massage is run by Rebecca Overson, doula and LMT. Salt Lake Prenatal Massage specializes in massage during the pregnancy and postpartum period. They offer specialized massages like fertility massage and labor preparation and have the training and equipment to properly work with pregnant clients. They are located at 4568 E Highland Dr #245 in Millcreek and can be reached at (801) 784-6511. 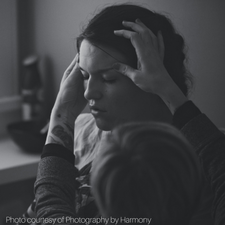 SLC Prenatal Massage offers a discount to birth workers–something this doula appreciates! Wasatch Pediatrics located at 1140 East 3900 South, Suite #360 in Salt Lake City has offices around the Salt Lake Valley. This particular office is housed at St. Mark’s Hospital and offers the full range of pediatric care options. They can be reached at (801) 264-8686. Share Parents of Utah serves Salt Lake County and offers support, information, and resources for parents working through pregnancy and infant loss. They also host support groups and events. Devan Rae Photography serves Salt Lake and surrounding areas. Beautiful maternity, birth story, and newborn photography. Picture Your Birth, owned by Julian Marks, provides lovely birth and newborn photography. Click here for a list of midwives practicing in the Salt Lake are, including out-of-hospital and in-hospital providers. This list is constantly being updated. The Birth Center located at 5107 South 900 East, St 140 in Salt Lake City, The Birth Center has a team of four midwives, all CPMs, and birth assistants. They offer clients the option of birthing at the birth center or at home. They can be reached at (801) 288-2229. University Hospital located on the University of Utah campus at 50 North Medical Drive offers midwifery care for low-risk women and the full range of OB/GYN and maternal fetal medicine providers. The midwives at BirthCare HealthCare have also just started offering the option of birthing in the water in the hospital. You can reach the main hospital line at (801) 581-2121. St. Mark’s Hospital located at 1200 East 3900 South in Salt Lake City grants privileges to certified nurse-midwives and OB/GYNs. I have especially enjoyed working with Julie Frenette, CNM at this location. You can reach the general hospital line at (801) 268-7111. LDS Hospital located at 8th Ave C Street in Salt Lake City grants privileges to certified nurse-midwives and OB/GYNs. I have had great experiences with Jennifer Jensen, a CNM that practices at LDS Hospital. You can reach the general hospital line at (801) 408-1100. BetterBirth located at 3538 S Highland Drive in Salt Lake City has offices and birth centers across Utah Valley and Salt Lake Valley. They have a team of CPMs and offer clients the option of birthing in one of their birth centers or in their own homes. They can be reached at (801) 225-5668. Vitalize Community & Healing Arts Studio at 2154 South Highland Dr. in Salt Lake City offers the occasional class to teach parents the basics of infant massage. They also offer massage services, yoga classes, and Mommy and Me yoga classes. They can be reached at (801) 661-1200. We are Ashlie and Candace and together we are Beehive Birth Care, your one-stop shop for childbirth classes, doula services, and placenta encapsulation in the Salt Lake City area. Whether you're looking to hire a doula for your upcoming birth or researching childbirth classes, you've come to the right place! Thanks for stopping by and we look forward to hearing from you. Providing compassionate and professional doula services and Hypnobabies childbirth preparation classes to families in the Salt Lake City area, including Bountiful, Salt Lake City, West Valley City, Murray, Sandy, South Jordan, West Jordan, Riverton, Draper, and Midvale.